Nintendo Switch is slowly but surely amassing quite the library of fighting games, but most of them happen to be from the 2D corner of the market. Well, that could all be about to change with a recent Japanese job listing hinting that a 3D fighter is in development across PC and consoles, including Nintendo Switch. I'm not very good at this gambling thing. Wouldn’t “licensed” suggest a known non-video game brand, such as Dragon Ball? Or Ninja Turtles? Or something along those lines? I would like to see an HD 3D Cartoonish Chibi Boxing / Kickboxing games with gameplay like K-1 + Street Fighter (Groove Meter) & Whimsical as MySims / Animal Boxing. In other words, somewhat Silly as Pocket Fighter. Fighting games doesn't always have to be Serious, right ? If I was a betting man I would say Bandai-Namco. As for the game... anything anime related is kosher. PS: Wait, Bamco uses Unreal Engine... hmmm, now I'm truly puzzled. There is a rumor about a new Marvel vs Capcom Infinite game that will be called "Uncanny Edition" and it will be revealed at the Evo this year (in August) for release next year. Maybe Capcom is looking for staff to help to develop this "update" ? It would be great to have a MvC game on the Switch. If the rumor is correct, the game will include Xmen fighters plus some more from the Capcom's side. My guess is Dead or Alive. It's the only fighter that runs on a propriety engine off the top of my head. Bamco uses Unreal, as does Capcom, so they're out. 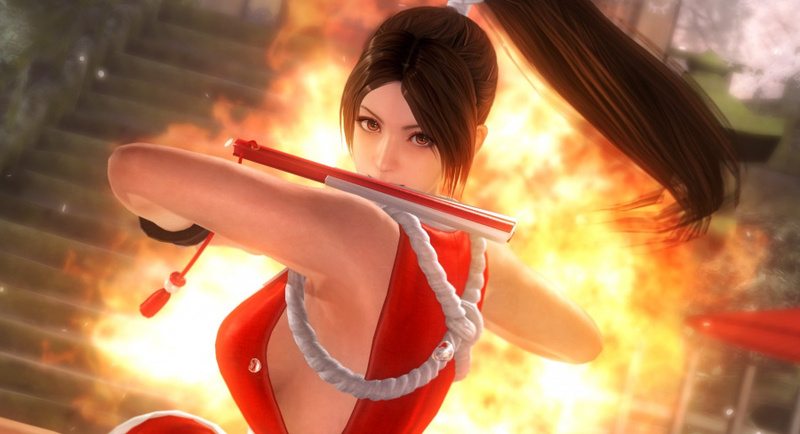 DOA had it's own 3DS version before it was popular and Tekken was on 3DS and even Wii U, hopefully one of them make a Switch game! I would like to see K-1 World GP return on Nintendo Switch. HD Kickboxing are Very RARE games. I can Die in happiness if K-1 return on HD Rendering, Still have Career Mode (Fighter customize) & Able to use Character creations as playable character in Vs Mode. I wish it was DOA 6 though. So if the switch is amassing a library of fighting games then the other platforms have already ammased it? we need more "traditional" 3D fighting games on Switch. Im not against Smash Bros, but for me Tekken, Virtua Fighter or Dead or Alive is much more appealing. If we're just fantasising, I'd love an HD remaster of Soul Caliber 2, which featured Link, hence the Nintendo tie-in. I would probably buy a DOA though, or any other competent 3D fighter, assuming they didn't make a mess of the Switch port. I want Soul Caliber... it’s the only 3D fighter that really grew on me. I’m more of a 2D fighter kind of guy. Never been a fan of Tekken or DOA, but I wouldn’t say no to any of those either. I saw the list on gematsu this morning. I would have been happier if the Switch got the Action robot game or sRPG on the list. As long as it is new. Not another rehash with PS2 graphics. I would kill for Dead or Alive. I don't care if it's a port or a new game. Just gimme, gimme, gimme!!! A port of Last Round (plus any stray DLC) would be amazing. I almost bought a PS3 just to play DOA5. It infuriates me that Tecmo keeps pumping out Warriors, after Warriors, after stinkin' Warriors (there are at least SIX available on Switch already with Orochi 4 on the way) and yet we still don't have Dead or Alive anything on Switch. Please let this be King of Fighters! Please let it be Soul Calibur! Ahhh, 3D Fighting Action Game. I think it isn't a fighting game like DOA and more like Kill la Kill or Jump whatever, a 3D Battle Arena Fighter thing. If you call that slow, what do you consider fast? Meh if it's not any of these then I'm not interested: Mortal Kombat, Virtua Fighter, Tekken, Dead or Alive, Project Justice/Rival Schools, Star Gladiator/Plasma Sword, Soul Calibur, Power Stones, etc. It specifically says licensed game, so it's not a known fighting series, it has to be tied in to some film/anime/third party media property. Though "licensed" could include something Sega like an Ultra Sonic Crush Siblings or something. @shani A Switch version of Soul Calibur VI is just asking for Marth as a guest character! @Bizzyb but the game on both systems were subpar. The Vita version did not have a tag team aspect of the game and the 3DS version had a crappy version of the tag team element. If DOA ever arrives on the Switch, it better be a console quality game and not made for a portable system. If it’s some anime Fighter then I’m out. Let just hope it's NOT tekken or dead or alive! @BlueBlur101 Hm I was actually thinking of Link like on GC. I feel like there's been a bit too many fighters, but i'm just not a huge fighter fan I'll be getting Smash, but haven't even really played a street fighter or mortal kombat game in forever. The only 2019 fighters that I know of are DOA 6, Jump Force and Kill La Kill. It could be something completely different though as those games were already announced without any Switch versions. I'd like to say Tekken, but I would hold my breath. I absolutely love TTT2 on Wii U.